UN Secretary General Meets with Venezuelan Foreign Minister. Venezuela’s Foreign Minister Jorge Arreaza met Monday the UN Secretary General Antonio Guterres in order to strengthen programs of cooperation with health, food and education, among others. Cuban Music Icon Silvio Rodriguez Gives Support to Venezuela. Cuban folk singer Silvio Rodriguez formed part of Latin America’s socially conscious Nueva trova songwriting movement in the 1960s. Renowned Cuban singer and composer Silvio Rodriguez reflected on the situation in Venezuela on his Segunda Citablog, responding to a Venezuelan fan who was commenting about the “guarimberos” — the violent opponents to the government setting up barricades in the streets. He recalled that one night at the cinema with his sister, a bomb exploded and broke all the windows nearby. “In Cuba, we were lucky enough that most of the bourgeoisie left the island, thinking that the Revolution would last six months, because the Americans would not allow it,” he added, yet acknowledging the many assaults the new government had to face during about one decade. 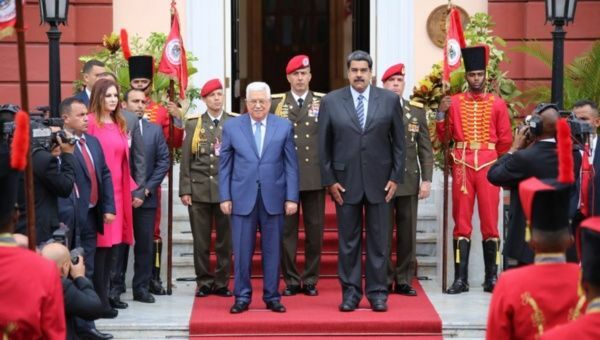 Abbas was received by Venezuelan Foreign Minister Jorge Arreaza for a two day visit to the country before going to Chile and Cuba. Venezuela, which has similar arrangements with Turkey, China, and Russia, offered the proposal to India in the light of the recent U.S.-imposed sanctions. 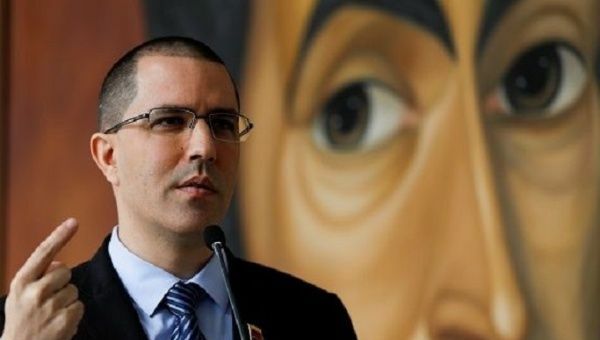 During a recent visit to India, Venezuelan Foreign Minister, Jorge Arreaza, said the South American country was interested in conducting transactions with the Indian government and business sector using India’s national currency, the Indian Rupee(INR), instead of the U.S. Dollar. The presidential candidates agreed to delay the elections until the second half of May, but a date has yet to be decided. Campaign chiefs, Luis Romero for candidate Henri Falcon, and Jorge Rodriguez for President Nicolas Maduro, signed an agreement guaranteeing that all parties would respect the results of the upcoming presidential elections and delay the election until the second half of May from the previous April 22 date. Romero and Rodriguez attended a press conference at the country’s National Election Council, or CNE, where its chief Tibisay Lucena announced the agreement and said a date would be set as part of upcoming discussions between the government and opposition parties. Registration Begins for Venezuela Presidential Elections. 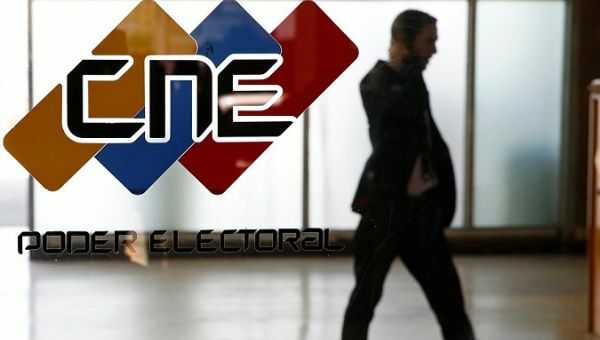 Venezuela‘s National Electoral Council, or CNE, opened official registration for candidates wishing to participate in the upcoming presidential elections scheduled for April 22. Venezuelan President Maduro said almost one million people have visited the Petro website since the currency’s launch two days ago. Venezuelan President Nicolas Maduro said Thursday that his government has raised US$1 billion in the first two days of its “Petro” cryptocurrency sale. 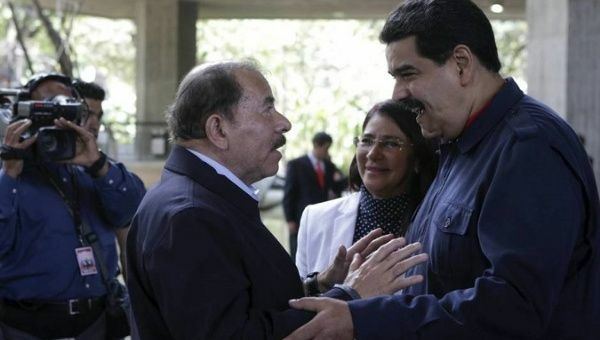 Nicaragua Rejects ‘Political Intolerance’ Against Venezuela. The Nicaraguan president urged lifting the veto on Venezuelan government’s participation in the Summit of the Americas. Venezuela: 82.4M Units of Petro Cryptocurrency Available. Maduro previously announced that the value of the entire Petro issuance of 100 million tokens would be just over US$6 billion. The Venezuelan Government has officially announced the pre-sale of the Petro (PTR) cryptocurrency – the first commodity-secured currency of its kind in the world. 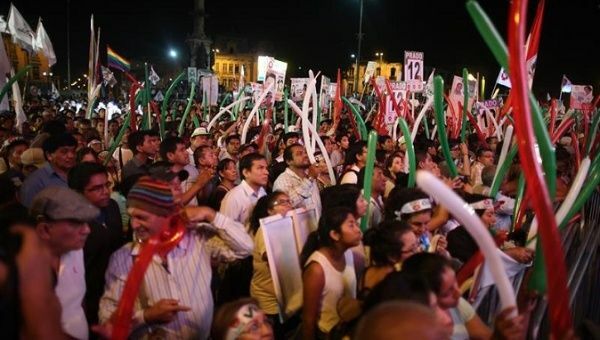 Peru‘s opposition Broad Front (FA) party has submitted a motion to Congress calling for U.S. President Donald Trump to be banned from the 8th Summit of the Americas, due to be held April 13 and 14 in Lima.